Sigma claims that the 24-35mm’s optical performance is equivalent to that of a prime lens right the way through its range. The firm is keen to emphasise the lens as a viable alternative to primes, pointing out that ‘photographers have access to the angle of view equivalent to that of three wideangle lenses without having to switch them’. The lens is based on the design and concept of the Sigma 18-35mm f/1.8 DC HSM | A, which was the world’s first zoom to offer a constant aperture of f/1.8 throughout the range. 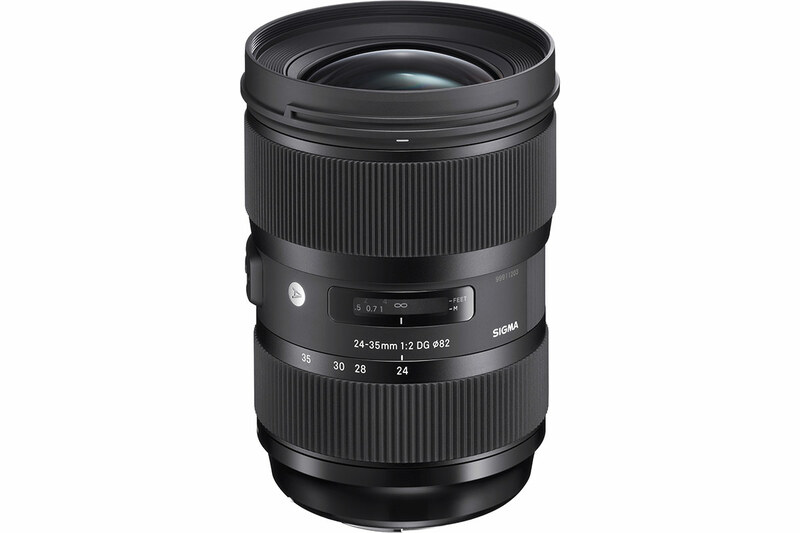 The Sigma 24-35mm f/2 DG HSM | A features a minimum focusing distance of 28cm, and a maximum magnification ratio of 1:4.4, making it suitable for close-up shooting as well as landscapes and portraits. Sigma has incorporated a number of large-diameter aspherical lens elements in the design, as well as low-dispersion glass elements. This selection of optics will help minimise spherical aberration, axial chromatic aberration and field curvature. Flare and ghosting are also kept to a minimum thanks to Sigma’s Super Multi-Layer Coating, and the inclusion of Sigma’s Hyper Sonic Motor should keep the autofocus nice and snappy. 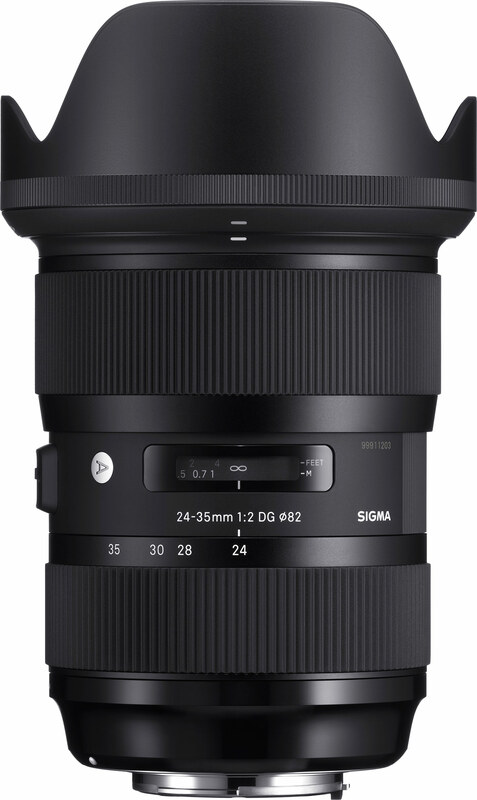 The Sigma 24-35mm f/2 DG HSM | A joins Sigma’s Art line, and is compatible with the Sigma USB Dock for updating firmware and customising focus points. Pricing and release details are yet to be announced.